Slow-running jet for oval carburetor. Suitable for 2CV6, Dyane, Ami8, to year of construction 09/1972. Nozzle measurement: 55. 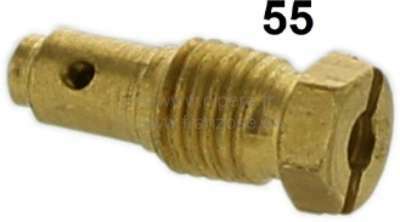 For carburetor 26/35 CSIC + 26/35 SCIC.